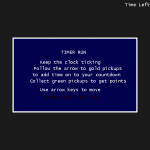 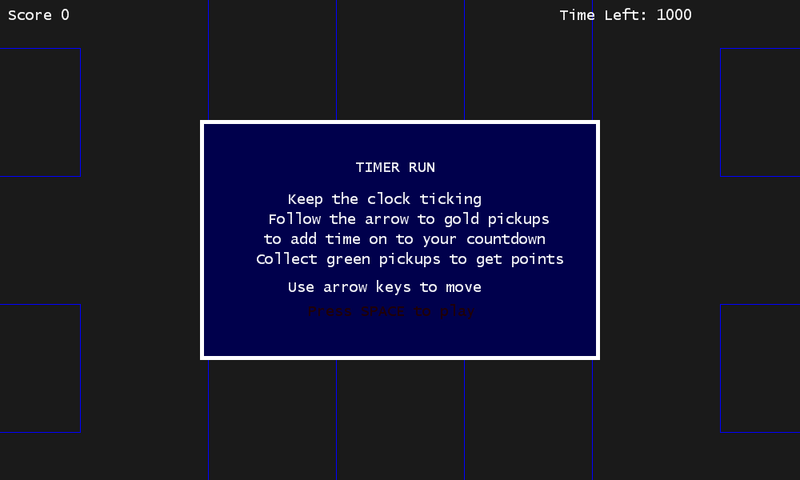 Timer Run is a driving game where players navigate round a course to find green pick-ups to add to your score and yellow pick-ups to keep the countdown timer running. 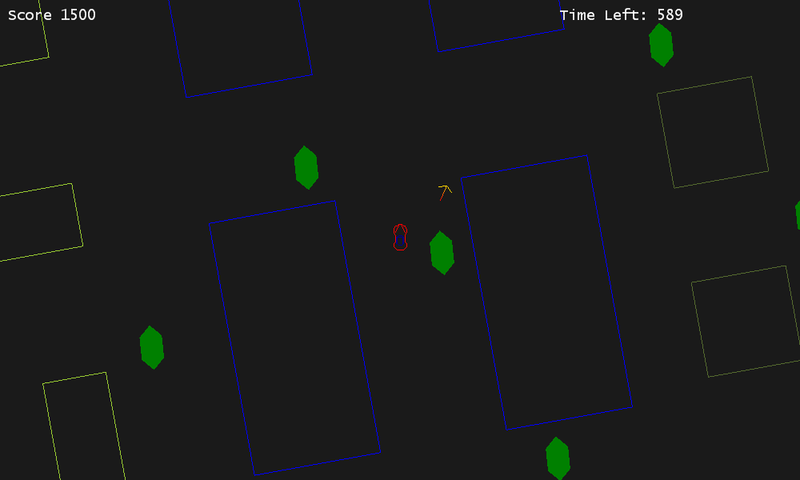 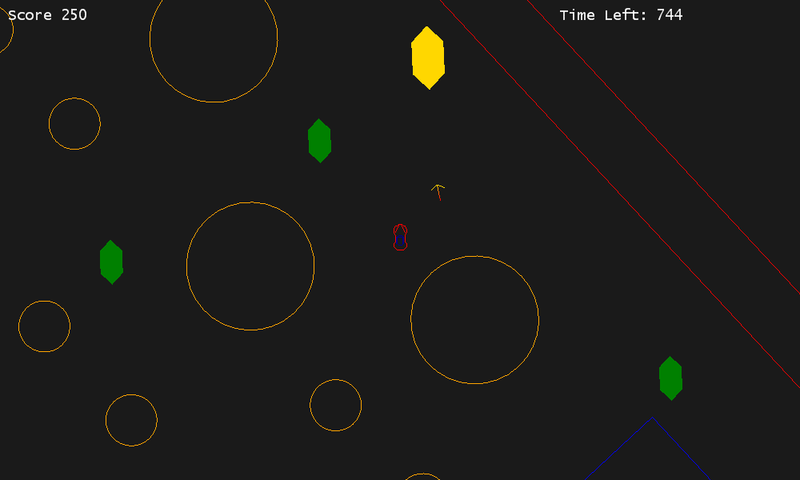 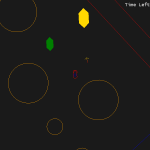 An indicator shows the player where the next timer pick-up is while the player has to search for points themselves. 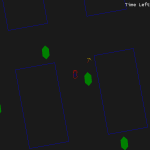 The vehicle is modelled using the game physics engine with a locomotion system that allows the car some sliding and skidding.